G.P. Putnam's Sons Books for Young Readers, 9780399255205, 32pp. Jim Arnosky's beloved nature expert, Crinkleroot, is back! Award-winning children's book artist and naturalist Jim Arnosky features his iconic character in this fun and informative picture book. Crinkleroot, who was "born in a tree and raised by bees," guides young readers through the natural world, taking them on a journey through the seasons, and giving examples of things they can do in their own backyards to protect the environment. 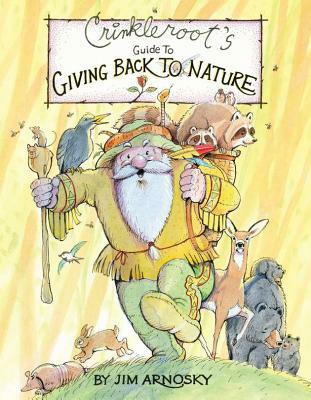 Jim Arnosky is a self-taught writer, artist and naturalist who has written and illustrated over 90 nature books for children. Jim divides his time between South Ryegate, Vermont, and Islamorada, Florida.